Home | Online Magazine | Where should I work? Decide what practice setting is right for you by taking a close look at your options. The job search can be all-consuming, with countless criteria to consider. But before you begin to think about location or benefits, you should decide what type of practice you’d like to join. Whether you see yourself at a big city hospital, a specialized clinic or a group practice, evaluating where you fit best will help you make up your mind about other factors. Throughout your medical journey, you’ve glimpsed many practice settings. Rethinking each is valuable as you begin your career search. This overview of practice settings will help illuminate your options as you start looking for a new practice. Opening a solo practice was once the dream for most aspiring physicians, but it’s now the road less traveled. Between 1983 and 2014, the percentage of physicians practicing solo dropped from 41 to 17 while the percentage of physicians in practices larger than 25 rose from 5 to 20, according to the American Medical Association. There are many reasons for this drop in private practice. Complying with government regulations can be difficult, and many physicians prefer a setting where they can expect a stable income and steady hours. Additionally, private practice involves more administrative work than some other settings. However, some physicians are still drawn to the autonomy of private practice. 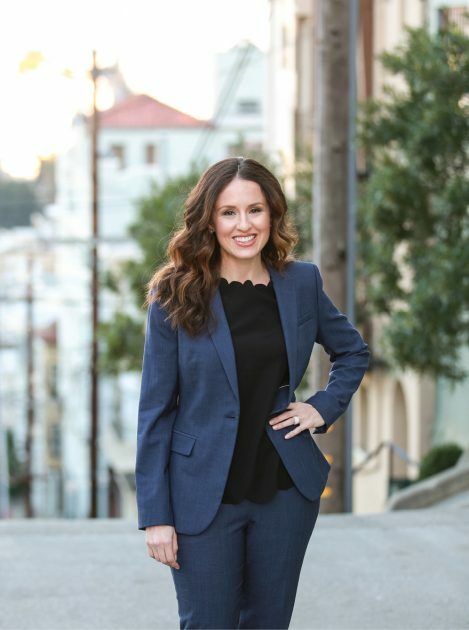 Fayne Frey, M.D., a dermatologist based in West Nyack, New York, chose being a solo practitioner for the control she has over her patients’ care and her own schedule. “I can see as many or as few patients as I want and adjust my schedule as needed,” Frey says. But Frey admits there are drawbacks. For instance, she says private practitioners have less leverage when it comes to negotiating with insurance. “They’re not as interested in me as they are a big group,” she says. Some physicians may have always dreamed of a specific setting, while others aren’t exactly sure. Here are a few tips to hone in on a good fit. Physicians opting for group practices find a setting that provides more leverage with insurance companies, greater profitability and improved quality of patient care. Group practices vary in size and scope. Single-specialty groups tend to be smaller, employing an average of eight physicians, while multispecialty groups employ an average of 25 physicians. Single-specialty groups can be a prime environment for learning more about your specialty and fine-tuning your skills. However, because every physician in the group practices the same specialty, referrals rarely come from within, and a practice’s existing patients tend to gravitate to whichever physician they have seen before. A new physician may need to be proactive about getting his or her name out and building a client base. The amount of autonomy varies widely in this setting. At some single-specialty groups, physicians are highly involved in setting standards and procedures. At others, physicians have less say. And while single-specialty groups often have more leverage with insurance companies than solo practitioners do, smaller groups still face similar struggles with insurance agencies and regulatory compliance. Multispecialty groups tend to employ more physicians than single-specialty groups, and they also offer a wider spectrum of services. Most multispecialty groups are general in focus, but some revolve around a certain area, such as diabetes or cancer care. “It’s common to see some type of primary or family care included [in a multispecialty group], as well as several other specialties,” says Philip Masters, M.D., FACP, vice president of membership and international programs at the American College of Physicians and an adjunct professor of medicine at the University of Pennsylvania School of Medicine. However, multispecialty groups don’t always offer as much autonomy as smaller group practices. With more clinicians, these practices require more protocols for smooth operations. Those protocols may be developed by executive management, not physicians themselves. And as you’d expect, workplace dynamics can sometimes be difficult when multiple specialties are involved. When interviewing at either type of group practice, consider whether a hospital acquisition is likely and whether that affects your interest in the group. According to the Physicians Advocacy Institute, hospital ownership of group practices increased 86 percent from 2012 to 2015—representing a 50 percent increase in the number of physicians employed by hospitals. Hospitals remain a popular work setting for physicians. According to Physicians Advocacy Institute, hospital employment of physicians steadily increased between 2012 to 2015, with regional growth rates ranging from 33 to 59 percent across the nation. Most hospitals offer a complete spectrum of medical and surgical procedures on both inpatient and outpatient bases. But beyond that, hospitals vary greatly in terms of size, affiliation, specialty, patient population, levels of emergency and trauma care, for-profit or nonprofit status and more. As an employer, a hospital offers physicians some of the same advantages as a large multispecialty group practice. You’re among a large, diverse medical population, and the environment is usually intellectually stimulating and modern. With round-the-clock, year-round staffing needs, hospital employment allows physicians to choose shifts that suit their lifestyles. “From early in my residency training, I enjoyed working the night shift. Now as an attending, working nights affords me many days off to do the other things I enjoy outside of medicine,” she says. Teaching hospitals not only provide hands-on clinical experience to medical students, but also enriching opportunities for practicing physicians. “Teaching [other] doctors, along with taking care of patients, pushes me to stay up on all of the latest data on diagnostics and treatments for patients,” says Ungerleider, adding that she also enjoys the opportunity to give back. Faith-based hospitals are also common. MergerWatch reports that the number of Catholic owned or affiliated hospitals in the United States grew by 22 percent between 2001 and 2016, and 14 percent of acute care hospitals in the nation are owned by or affiliated with the Catholic Church. 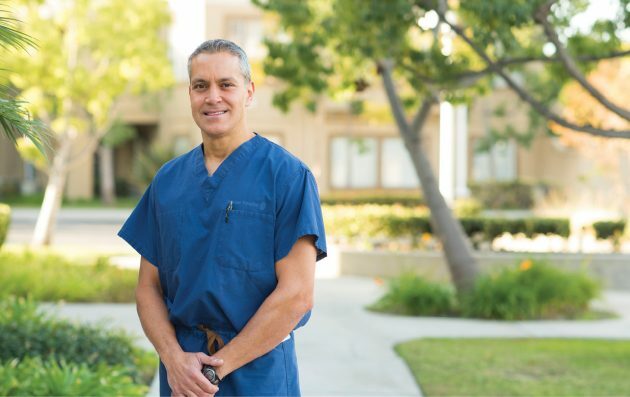 Michael Burdi, M.D., an orthopedic spine surgeon at Mission Hospital Regional Medical Center in Mission Viejo, California, enjoys the altruistic mindset of his religiously-affiliated hospital. “I do get a sense of service to the community. It gives me a feel-good feeling that they’re not just after profits but to serve and to help,” Burdi says. Some faith-based hospitals restrict care and referrals for certain types of services, such as reproductive and end-of-life services. If you’re considering employment at one, make sure you’re informed about their policies. Many sectors of the government employ physicians as well. For example, the Veterans Health Administration is the largest integrated health care system in the United States, providing care at 1,245 facilities and serving more than 9 million enrolled veterans each year. Because many of their patients have undergone physical or psychological trauma, VA physicians are trained to take a holistic approach. They screen for mental health, lifestyle issues and substance abuse among other health concerns. The VA is also highly focused on research and innovation. In 2017, the Department of Veterans Affairs ranked 17th on Reuters’ list of the world’s most innovative research institutions. MacDonald says the VA also provides telehealth. “To follow up on someone who was discharged, I can call up a video visit, [which easily] fits into my day and doesn’t require the vet to drive in to see us,” MacDonald says, adding that in FY 2016, more than 2 million patient visits were conducted via telehealth. Correctional health care is another growing opportunity for physicians. It may sound like a difficult work environment, but Mohammad Khan, a board-certified psychiatrist in Dallas, says that providing medical care in correctional facilities offers variety and new challenges. Khan found correctional services to be vigilant when it came to ensuring physician safety, and he enjoyed working alongside other medical professionals, such as counselors and therapists. Physicians can also find enriching government opportunities at Federally Qualified Health Centers (FQHCs). These clinics and health centers provide comprehensive care to uninsured and underserved populations. And because it is often financially and logistically difficult for their patients to access medical care, FQHC doctors quickly learn to wear many hats. Medical practices have extensive staffing requirements—and physicians sometimes get ill or go on leave. That’s when locum tenens physicians step in. Locum tenens physicians take over when a doctor is unavailable for as briefly as a day or for as long as several months. What it lacks in job permanence and stability, it makes up for in variety. Physicians are attracted to locum tenens work because it allows them to explore different practice settings and locations. Identifying your preferred setting can help with your job search, but it’s also smart to remain flexible. You never know how a practice might surprise you. For example, you may find a small group practice where management determines procedures or a large practice where physicians have a lot of say. Remain open to possibilities. Like most major decisions, the practice setting where you’ll fit the best often comes down to a gut feeling. The environment that appeals most to one physician may sound completely unappealing to another. So do your research, talk with your advisors, and reflect on your goals. In the end, you’ll find the answer by listening to your true calling.